Heavy metal pollutions caused by natural processes or anthropological activities such as metal industries, mining, mineral fertilizers, pesticides and others pose serious environmental problems in present days. 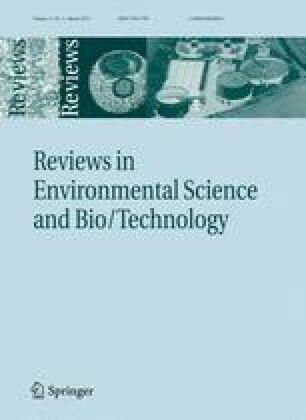 Evidently there is an urgent need of efficient remediation techniques that can tackle problems of such extent, especially in polluted soil and water resources. Phytoremediation is one such approach that devices effective and affordable ways of engaging suitable plants to cleanse the nature. Excessive accumulation of metal in plant tissues are known to cause oxidative stress. These, in turn differentially affect other plant processes that lead to loss of cellular homeostasis resulting in adverse affects on their growth and development apart from others. Plants have limited mechanisms of stress avoidance and require flexible means of adaptation to changing. A common feature to combat stress factors is synchronized function of antioxidant enzymes that helps alleviating cellular damage by limiting reactive oxygen species (ROS). Although, ROS are inevitable byproducts from essential aerobic metabolisms, these are needed under sub-lethal levels for normal plant growth. Understanding the interplay between oxidative stress in plants and role of antioxidant enzymes can result in developing plants that can overcome oxidative stress with the expression of antioxidant enzymes. These mechanisms have been proving to have immense potential for remediating these metals through the process of phytoremediation. The aim of this review is to assemble our current understandings of role of antioxidant enzymes of plants subjected to heavy metal stress.